My wife and I couldn’t be more pleased with True Dentistry. From Gaylene to Jay to Dr. Joe, we felt we were in skillful and caring hands. They were patient, cheerful, and thoughtful in answering all our questions and explaining the biomimetic approach to dentistry. Maximum stars! Utilizing conservative techniques to save as much as the original teeth as possible, biomimetic dentistry allows Dr. Joseph G. Willardsen at True Dentistry to treat decayed, fractured, and weak teeth while working to save them from new problems developing later. With treatments such as inlays and onlays, modern adhesives, and bonding techniques, tooth structure can be saved without reliance on more complex restorative dentistry treatments. Biomimetic dental techniques can result in less drilling, less need for root canal therapy, conservation of natural teeth, fewer cavities, and fewer dental treatments. 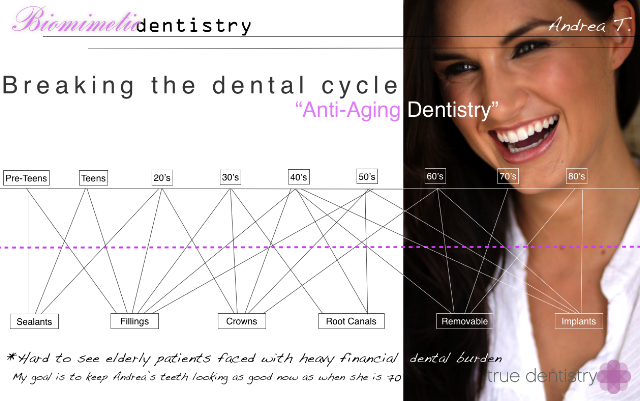 If you would like to learn more about biomimetic dentistry, or if you would like to schedule a consultation with Dr. Willardsen, please contact True Dentistry.